This post may contain affiliate links which is shown by a *. This means if you click on a link I may get a small commission at no cost to you. Fussy eating is a huge issue is many UK family households and trying to find recipes for fussy eaters whatever their age isn’t easy or normally on budget. Eating the same food day in and day out just so your kids eat something isn’t good for the moral of the whole family. You can only eat chicken nuggets for so many meals, right? Regardless if the fussy eater is you or your children, finding meals that everyone eats not only saves you valuable cooking time but can also shave money off your food bill. Putting healthy meals aside right now, just getting everyone eating one meal would be a real achievement, especially if you live in a household where it’s normal to cook three or even four different meals. If you’re looking for some help and support in your saving journey then please join my FREE Email Money Saving Course. 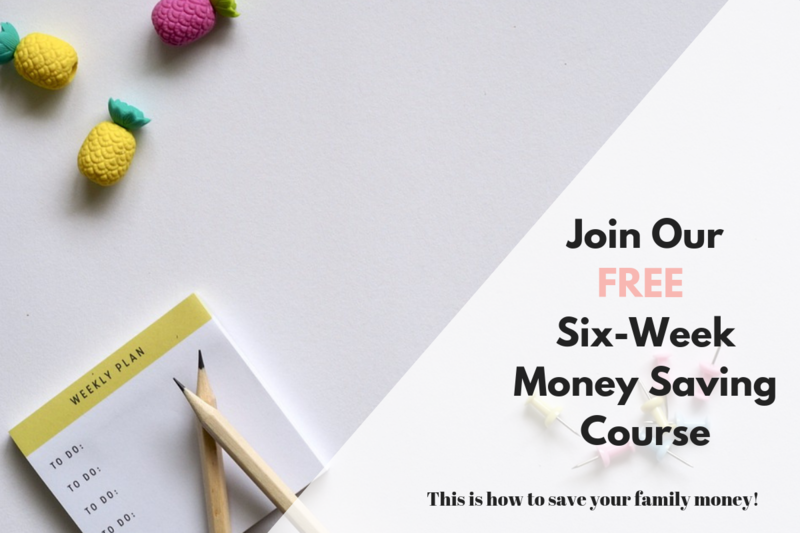 This is a FREE 6-week email course aimed at helping you save your family money so you can spend your hard earned cash on what YOU want and not just on bills. Please join us here when you’re ready and watch your savings pot rise! We all now that when a baby starts to wean they will eat anything and everything. It’s built in. But when they start to realize what they are eating then comes the trouble. Most start at around eighteen months and start to reject food. It doesn’t matter how to weaned or what you fed them. Kids (and some adults, including me) are just fussy. This is totally normal. Nothing you’ve done or said to your kids has made them fussy. We’re all different and like different tastes and textures. Here are my top 5 tips to getting your toddler fussy eater or older child trying more food. 1. Let them pick a meal for the week. When you write your meal plan and shopping list ask the whole family for one meal idea each. Yep, it may involve you eating a couple of very beige meals a week but the agreement is that everyone tries each other meals. If you’re struggling to meal plan on a budget, then read our top tips on how you can halve your food shop here. 2. Watch those changing taste buds. As parents we all full into the trap of thinking that our kids like something because they loved it last week. Kids taste buds change so keep offering meals that they once hated to see if they now like them. Anything not eaten can be boxed up into leftovers and eaten by the adults for lunch or frozen for another time. Here’s how we reduce our waste and budget by eating everything we can. 3. Kids love snacking. So let them. Put a bowl of healthy snacks on the side and let them decide. Pack it with a few already loved healthy alternatives and add some new ones too. Let them have the choice. As long as they are trying new foods then the plan is working! 4. Watch the signs. There’s no point trying to get your kids to eat a new meal on a Friday night after they’ve been at school all week or right before baby’s nap time. Pick your battle. Try a relaxed family meal on the weekend when everyone can chill out. Try adding one food they love and three they don’t to a meal and letting everyone pick their own. 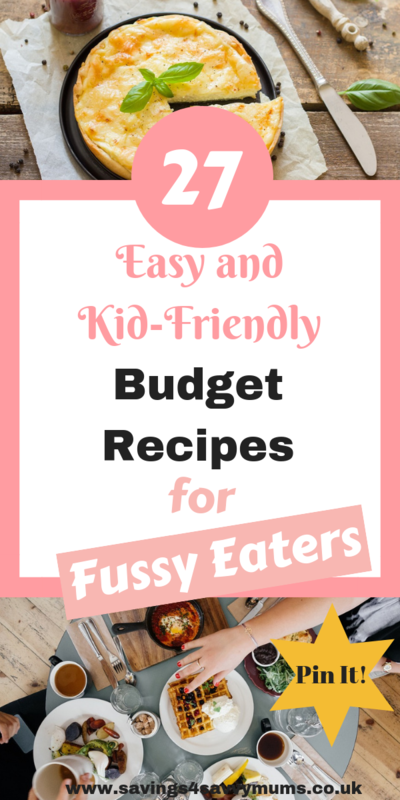 We have a huge selection of budget family recipes here for you to try. 5. Make it fun. However old your kids are try making new foods fun. For little ones, could you make the new food into a face or cut it into their favorite animal? For older kids, could you get them involved in the cooking? Maybe you challenge them to a cook-off one night a week and the family votes? As parents with a fussy eater, meal times are a real challenge especially if you need to keep the cost of your food bill down and stick to a budget. Shopping and then meal times can become stressful for everyone and start to have an impact on how you all see buying food. It’s ok if someone in the house is fussy. It’s not down to bad behaviour or being awkward. For many kids, it’s about learning what’s safe to eat and what’s not. For adults, it’s about having some independence and choice on what we eat. You don’t have to let eating habits affect your budget. 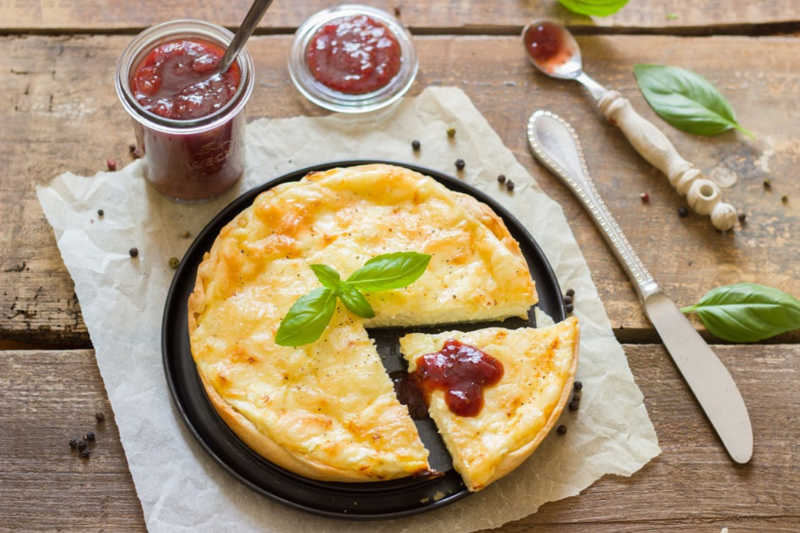 Yes, sophisticated meals may be off the menu but having your family-friendly recipes that you all know and love is key to getting any fussy eater to try new food. The below 27 recipes are all easy and kid-friendly. They are perfect for fussy eaters of all ages and some will quickly become firm family favorites. These are very simple dishes that you can pick from if you’re struggling to get your family to eat the same meals. Pick a few of these to put into your budget meal plan and then ask the family for their suggestions. Keep meals as simple as possible in till you’re only cooking one meal. Try to have a few ingredients or a side dish that the whole family will enjoy making it more likely for everyone to try the food they’ve never had before. Using as many of your kitchen stapes as you can throughout the week will help you to reduce costs. We have our essential kitchen staple list here that will help keep your grocery down and on budget. 1. Meal Plan Sheets – Depending on how comfortable you are, either find a spare pad or print out 8-10 copies of a weekly meal plan sheet. You’ll need enough space to write down a simple menu for each day and a shopping list as you go. You can make your own weekly meal plan or download my meal plans and shopping lists for free from the Resource Vault. Having several copies on hand will help inspire you to get started and keep up the meal plans for several weeks. Before you know it, meal planning will become a natural part of your routine. Remember to come join our FREE Facebook Messenger Group for all the latest deals, freebies and quick family money saving tips! 3. Of course there are plenty of other ways to save money, and once you start seeking them out then you will be amazed at what you find. Go to these sites first before you buy anything online and see if you can get money back. Anything goes from hotel stays to toys and train tickets. 4. Use an app like Plum* to keep track of your spending and to help you save. Using Plum* can help you build up your savings, pay off dent quicker and invest to make your money work harder. It’s free to join! Need More Meal Planning Help? Still lacking inspiration and unsure what to do? Then Budget My Meals is for you. We give you plan templates that take all the thinking away. We can create your budget weekly menus, shopping lists and send you the recipes every week so you don’t even have to think about it. No coupons. No yellow stickers, just easy family-friendly recipes. Implementing a weekly meal plan really does save you money and time. It stops you going for the takeaway menu when the family go nuclear and means you don’t have to face a cupboard full of food with no clue or inspiration on what to cook. It also means that you are building up your recipe bank so when you no longer need us, you have all our recipes to fullback on. Enter your email address here and we’ll update you when we are live. 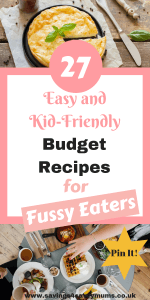 If you enjoyed this post and would like some more family friendly budget recipes or meal plan ideas, then head over to the budget food section here on Savings 4 Savvy Mums where you’ll find over 30 cheap posts dedicated to helping you cook and shop wiser for less. There’s enough tips to help you save over £300 a month! 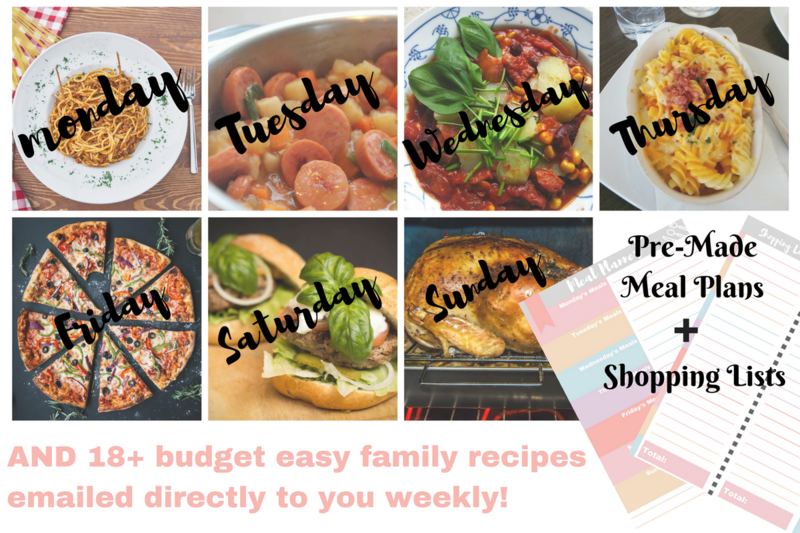 You could also pop over and follow my family food Pinterest boards for lots more ideas on how to eat well and spend less; Family Meal Plans on a Budget, Budget Family Meals & Budget Slimming World Recipes for Families. Love this post? Then why not save it to Pinterest so you can easily find it later. If a link has an * by it, then this means it is an affiliate link and helps S4SM stay free for all. If you use the link, it may mean that we receive a very small payment. It will not cost you anymore that it would normally. You shouldn’t notice any difference and the link will never negatively impact the product. The items we write about are NEVER dictated by these links. We aim to look at all products on the market. If it isn’t possible to get an affiliate link, then the link, or product is still included in the same way, just with a non-paying link.